A physical brand is a mark made by burning with a hot iron. There is no erasing that message. But a company brand, no matter how set in stone it may seem, is always capable of evolving. Think it’s too late to redefine your business? Never. Culture gives brands rebirth. 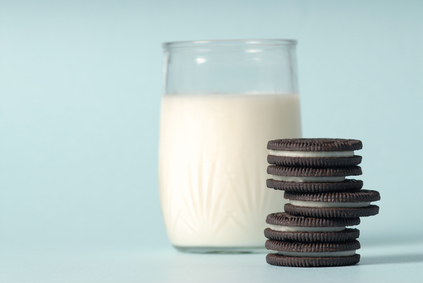 Consider Oreo. This tasty brand put themselves back on the pop culture map by kicking off their 100th anniversary in the summer of 2012 with a one-liner campaign and accompanying clever graphics. But this cookie giant took their brand into a new echelon the following year. Four minutes into the 2013 Super Bowl blackout, Oreo tossed out what Fast Company called the “Tweet heard round the world”: You can still dunk in the dark. The company may have had a $4 million ad spot during the game that took months to produce, but an off-the-cuff one-liner based on a blip in pop culture history is what got them the kind of press any company is desperate to have. What does this 140-character, Twittersphere success mean for your business? It means it’s never too late to reinvent your brand. If one of the world’s most recognizable, well-known brands can do it, your business certainly can, especially when it comes to online branding. You don’t have to be good at one-liners to get attention for your brand. Content is what’s key. And content will always be king. When you don’t know what else to do to get some fresh attention for your brand, focus on writing. You can’t ever have too much new, relevant, readable, clickable, shareable content on your website, blog, and throughout your social media outlets. Content has everything to do with branding. Through your online content, you’re building the voice of your brand. Do you want your brand to be known for its sense of humor? Sincerity? Seriousness? Knowledge of obscure facts? Sports-centric twist on any and every topic? Your blog posts should reflect this tone, as should your Tweets, Facebook posts, and LinkedIn discussion topics. The multiple opportunities to produce new content give you and your business the ability to market in real time. Lights go out at the Super Bowl? Send a Tweet acknowledging said fact, tying in your business. Celeb gets married? Write a blog post about it in relation to the services you offer whether you’re a dentist (did you see those teeth? ), lawyer (think they signed a prenup? ), or candlestick maker (candelabras would have been the ideal centerpiece at their reception). Creativity is everywhere for the taking. All you have to do is read the headlines on your favorite entertainment website, tune in to the evening news, watch Jeopardy!, or check out the movie trailers for the newest releases. And, it certainly doesn’t hurt to have a clever writer in your corner who will work the right angles for you on your blog and beyond – though your input is always important and appreciated. Contact Pistonbroke for rebranding your brand. Your brand renewal can also include a customized website redesign – let’s caucus. Does Your Website Have Keyword-Focused Copywriting?